OCTOBER 2013 – RIDGWAY, Colo. – An article published in the October issue of the Journal of the American Dietetic Association calls into question the common consensus that eating so-called “bad” carbohydrates will make you fat or promote disease. In the article, University of Virginia professor Glenn Gaesser provides analysis of peer-reviewed, scientific research on carbohydrate consumption, glycemic index and body weight and offers the first detailed review of the literature on the correlation between carbohydrate consumption, weight gain and illness. Gaesser found that diets high in carbohydrates are almost universally associated with slimmer bodies. More importantly, Gaesser found that consuming lots of high-glycemic foods is not associated with higher body weights. In fact, several large studies in the United States revealed that high-glycemic diets were linked to better weight control. “There is no reason to be eating fewer carbs – they’re not the enemy,” says Gaesser, a professor of exercise physiology and director of the kinesiology program in the Curry School of Education. 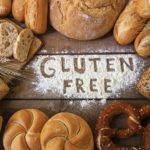 After reviewing hundreds of articles on large-scale studies using surveys or randomized, controlled trials, Gaesser says they show that “people who consume high-carb diets tend to be slimmer, and often healthier, than people who consume low-carb diets.” Even high-glycemic foods have a place in the diet. He attributes that to the overall higher quality of a high-carb diet, which includes more fiber-rich and other nutritional foods. Gaesser also searched for a clear association between carbohydrate consumption and illnesses, such as type 2 diabetes, heart disease and cancer. He found no compelling evidence that avoiding carbohydrates with a high glycemic index (GI) helps prevent these diseases and others. People with diabetes may benefit from lowering their consumption of foods with a high GI, however, as well as very sedentary women who are obese, Gaesser said. The glycemic index is a measure of the quality of the carbohydrate in terms of how much it raises blood sugar. Foods having a high GI are generally thought to be “bad” because they raise blood sugar more than “good” carbs do. Proponents of the glycemic index claim that this leads to excessive insulin secretion, which can cause weight gain and health problems. Reducing any part of the diet (carbs or proteins or fats) will result in modest weight loss in the short term, if calorie consumption is reduced, he points out. But for long-term weight maintenance, a high-carb, low-fat diet is still the best bet, he said. About Dr. Gaesser Dr. Glenn Gaesser is a professor of exercise physiology and director of the kinesiology program in the Curry School of Education for the University of Virginia. A popular speaker, Dr. Gaesser has lectured on the subject of fitness, body weight and health at numerous national and international meetings and has appeared on dozens of radio and TV shows in North America. In addition to his 2006 book, It’s the Calories, Not the Carbs, coauthored with Karin Kratina, Dr. Gaesser has written Big Fat Lies: The Truth About Your Weight and Your Health, published in 1996 and updated in 2001, and The Spark: The Revolutionary New Plan to Get Fit and Lose Weight 10 Minutes At a Time, coauthored with Karla Dougherty, also published in 2001. The Grain Foods Foundation, a joint venture of members of the milling and baking industries formed in 2004, is dedicated to advancing the public’s understanding of the beneficial role grain-based foods play in the human diet. Directed by a board of trustees, the Foundation is funded through voluntary donations from private grain-based food companies and is supplemented by industry associations. For more information about the Grain Foods Foundation, visit www.grainpower.org.